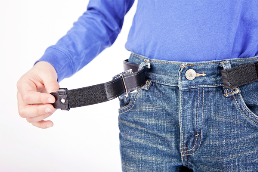 Myself Belts has a one-handed patented closure that not only makes it easy to keep pants up, but also teaches and encourages your child’s independence. Helps make the school day easier for kids, parents, and teachers! Myself Belts provide children with an “I did it by myself!” moment and parents with peace of mind. Fun styles that kids love to wear, along with solid colors that fit school uniform requirements. Appeals to toddlers, school age children, teens and adults. Myself Belts are helpful for physical challenges, cognitive issues, and rehabilitation patients. Myself belts one-hand tightening system is great for persons with dexterity issues or limited hand functions. 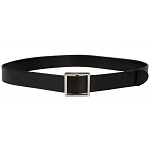 Caregiver Products is proud to carry one-handed, easy fastening belts by Myself Belts. Easy to secure adapted belt allows for one handed closure. Easy to secure, one handed closure. Patented on handed closure aids in independent dressing.